When I was 12 my mom went out and bought a fake Christmas tree and a pretty set of coordinating decorations to go on it. She was excited. No yearly cost, no pine needles, no fire hazard. Plus, with the new decorations, our tree looked like a perfect department store model. You put it together when you are ready for it, and put it away when you are done. To me however, it was the end of an era. I missed the days of the real trees. Now, interestingly enough, I never can remember where we got our trees. I’m guessing they were from tree lots, but I honestly can’t be 100% sure. What I do remember is how once we got the tree home, my mom and my stepdad would wrestle the tree into a 5 gallon bucket, propping it into place with a variety of rocks found outside and saved for this purpose. My mom would videotape my stepdad as he tried to get the tree wrangled into the bucket, and he would yell at her to put down the dang camera and come help with the tree. With all of that energy required, I can see why she eventually went with the fake tree. Once the tree was secured, he and my mom would sit back, and allow my sister and me to do most of the tree decorating. We would carefully deliberate over the placement of each ornament on our large collection, and inevitably every year we would manage to break one of these incredible delicate antique bird ornaments while trying to clip them onto the tree. We would blast either Christmas music or Tom Petty (what, those aren’t interchangeable in your house? ), and it was a generally merry and good time. 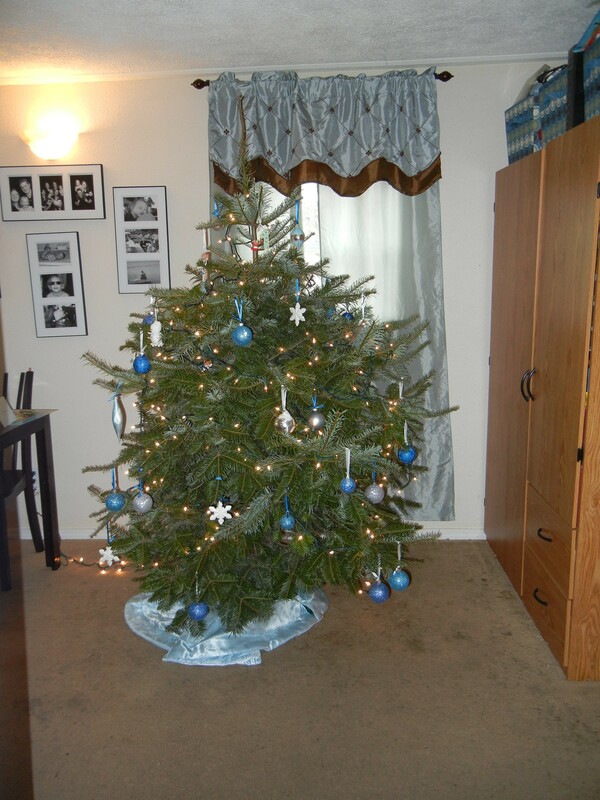 When the fake tree, with its matching decor, came into our home everything changed. It wasn’t as fun to watch as my mom popped the color-coordinated branches into their spots, and each decoration had a specific place that it belonged. Decorating for Christmas became orderly and organized. It was no longer happy chaos, and therefore was much less fun. So as a child I vowed that I would always have a real Christmas tree when I had kids. And with the exception of Logan’s first Christmas (he was only 3 months old-what would he care), we have done a real tree every year. Our trees always come from different places. Sometimes we go to tree lots, and one year we got one that my dad cut down from his property. This year I wanted to do something different, a real memory maker. 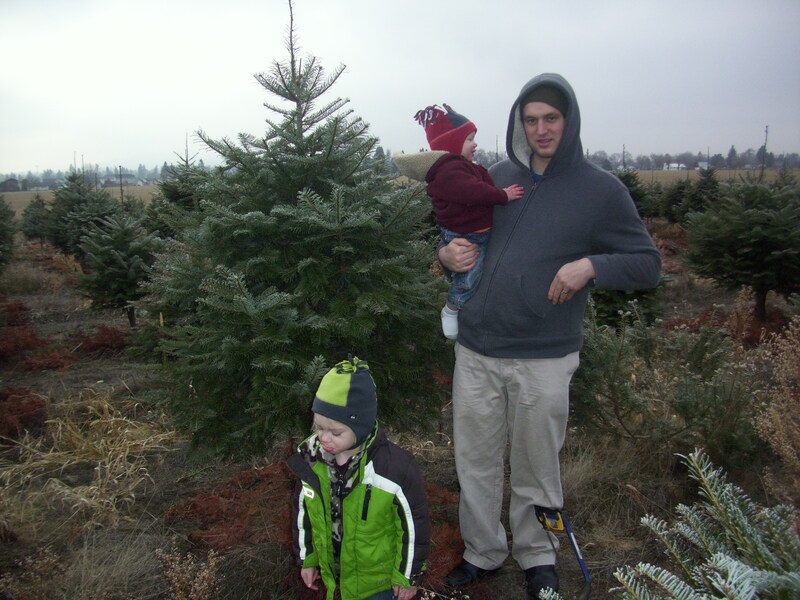 So we went to a place to cut our very own tree. So this has been a very long-winded introduction to the real point at hand, which is a (not so) Super Mama tutorial on how to cut your own Christmas tree in 14 easy steps. 1. Do your research. 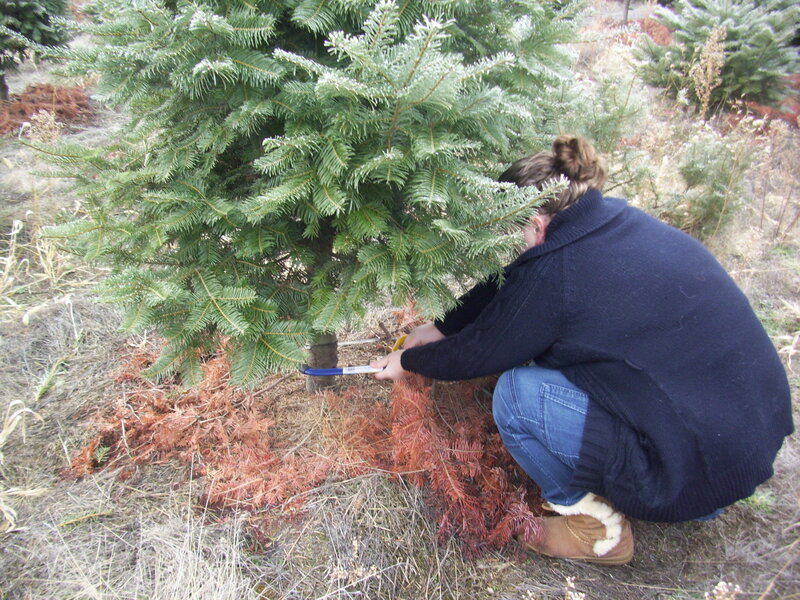 Find a farm that allows you to cut your own tree. Call them to confirm their hours, and ask basic questions. An important question to as apparently is “do you provide the saws?” There was a tree farm that required you to bring your own saw, but we skipped that one because 1) we only have a circular saw and an ax, and neither of those seemed tree farm appropriate and 2) I wasn’t super comfortable letting my children run around in a place where strangers are wielding all sorts of various cutting implements. 2. From your research pick your farm. We selected a farm where all of the proceeds went to a local charity that benefits foster kids. I recommend this route. It allows you to feel good about yourself while destroying part of the environment. 3. Bundle up your kiddos to prepare for the cold December outdoors. Get distracted bundling them and forget to bundle yourself. Since you’re only wearing a sweater, prepare to be cold, very cold. 4. 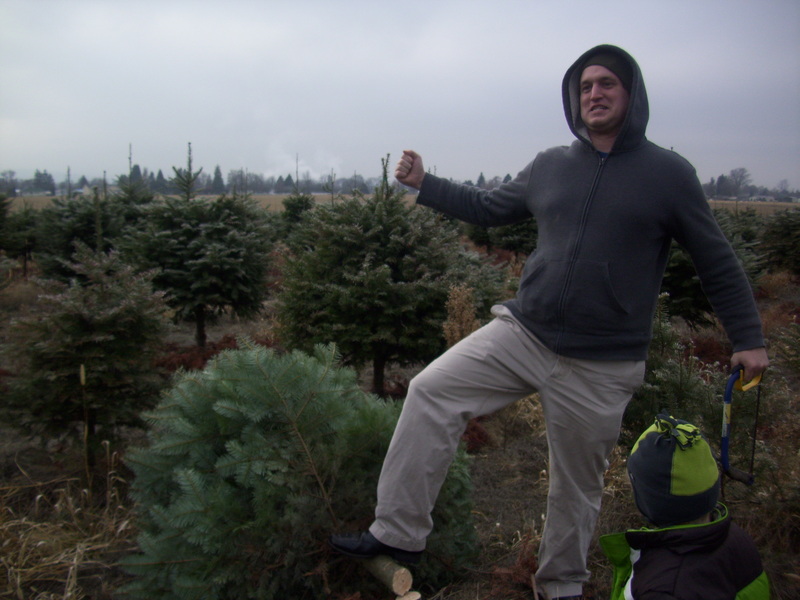 Bask in your childs excitement when you tell him it’s time to go get a Christmas tree. Both of you can be a little disappointed when you arrive at the tree farm and have to have the awkward conversation in which you realize that he was actually excited about Christmas treats not Christmas trees. Memory making fail. 6. Try to get your husband and children to pose in front of the tree. Regret doing this during what is supposed to be nap time because now your three year-old won’t stop pouting. Accept that this is the best photo that you will get. 8. Have husband actually saw down tree. When he is done he can put his foot up on it like he has conquered a mighty beast. If you picture him wearing flannel instead of a hoodie, and that the toddler is actually an ox, he looks just like Paul Bunyan, don't you think? 9. Pay for your tree and have the girl who has no clue what she’s doing help you tie it to your car. Later lament that you forgot to take a picture of this. Spend the whole drive home praying that your tree doesn’t go flying off the top of your car, and that if it does that it doesn’t actually injure anyone. 11. When all the decorating is done lay underneath the tree with your husband and enjoy the beautiful sparkly pine scented wonderfulness of the moment. Remember why you always have a real tree. 12. Spend the whole next morning trying to get your 3 year-old to stop touching the tree and your 1 year-old to stop eating the tree. 13. 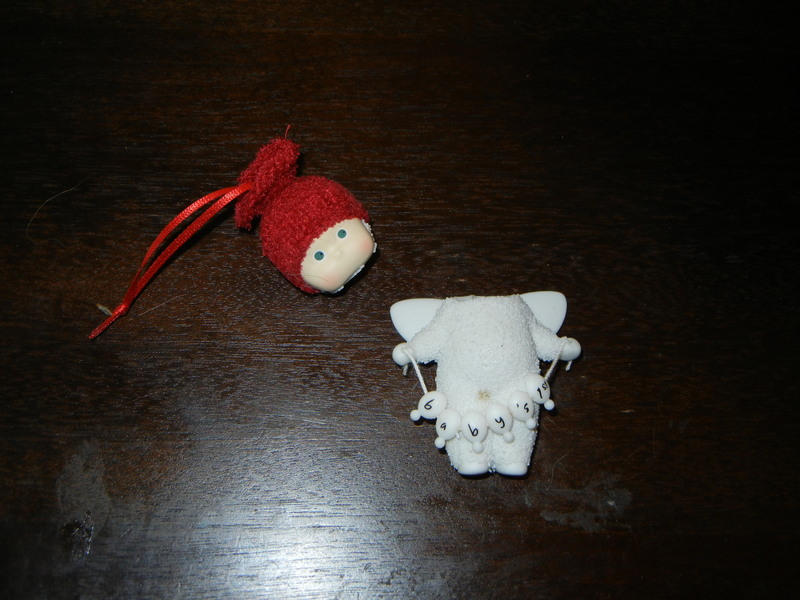 Realize that three days later none of the ornaments on the bottom half of the tree are where you originally put them. Never bother to fix it. 14. Remember all the fun Christmas chaos as a child and hope that your children are building their own love of crazy chaos family time that they will eventually pass on to their own children.